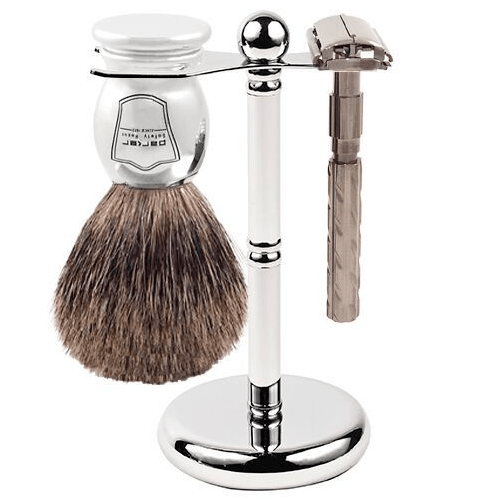 This combination contains a Parker 22R butterfly open safety razor, genuine Parker pure badger shave brush and stainless steel stand. 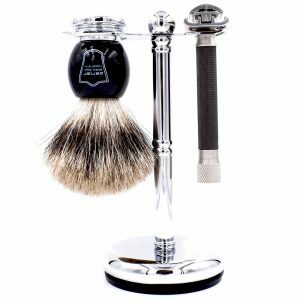 This combination contains a Parker 22R butterfly open safety razor, genuine Parker pure badger shave brush and stainless steel stand. 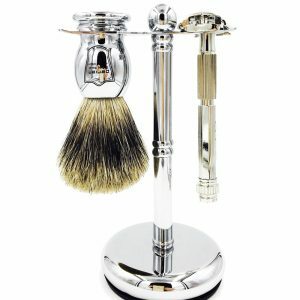 Each component in the shaving set has been perfectly matched. The Parker 22R has a brass frame, twist to open butterfly head for easy blade replacement and a wonderful balance at 3.0 ounces. 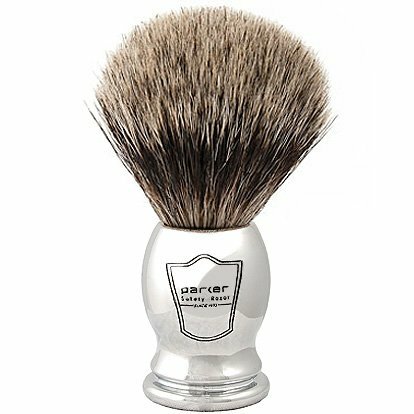 The deluxe brush has high quality pure badger bristles. The brush knots are hand selected and are extremely soft, dense and create a fabulous lather, ensuring a great shave. 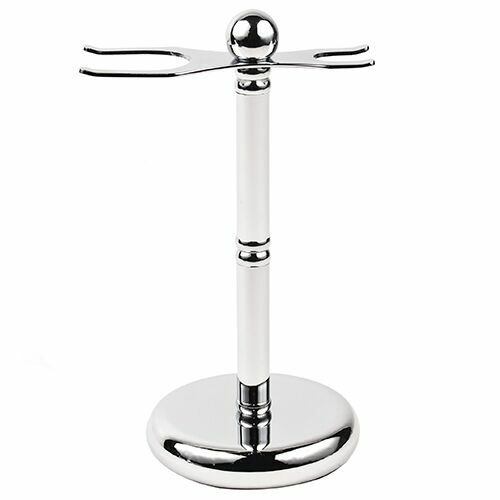 The stainless steel stand is both beautiful and functional. 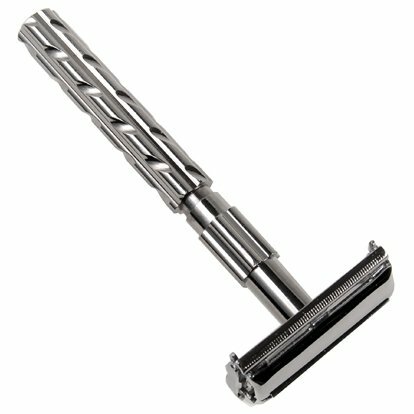 If you are new to wet shaving or a seasoned double edge shaver, this set will impress. 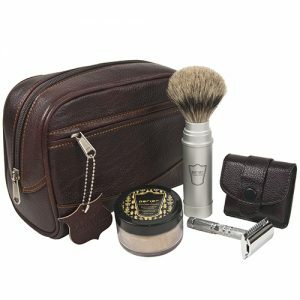 If you’re looking for a barbershop shave at home, or a great gift, this set will hit the mark!